Today, we get out of the office and see what amazing dishes are found on the sidewalk. We cover dishes you probably won’t see at any five-star restaurants. 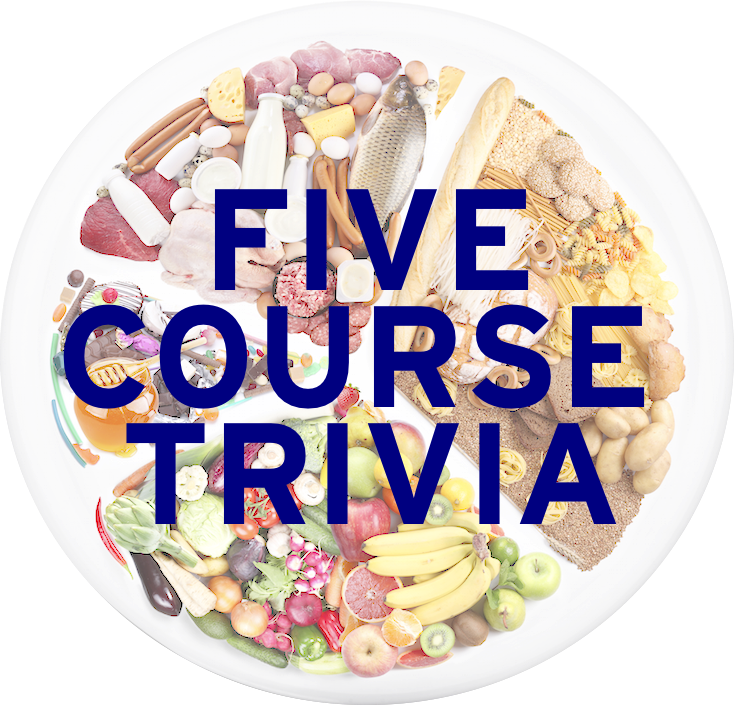 [Bonus trivia: can you name the closest Michelin star restaurant to where you are right now]? 1. Jamaican jerk chicken is one of the most popular (and hottest) street foods in the world. The signature jerk seasoning that makes jerk “jerk” is the inclusion of Scotch bonnet peppers and what spice, known locally in Jamaica as “pimento”? 2. Berlin housewife Herta Heuwer is credited with creating what German street food, by attaining spices from British soldiers in post-war Germany, and subsequently added the powder to stewed tomatoes, and then poured over sausages? 3. Burek, a pastry dish made with filo bread and filled with ground meat in a tube shape, is a popular dish in which region? 4. The traditional name of the device seen here is a “aleb ___”, where the blank is filled by the name of the street food the instrument is used to make. Name that food. 5. The South African street food “walkie talkies” is a popular chicken dish. Specifically, it is made from what two parts of a chicken? Learned League precedent (LL61, MD14) – A common street food in many parts of Mexico, elote is a dish that can be served with various condiments, but is essentially what vegetable?